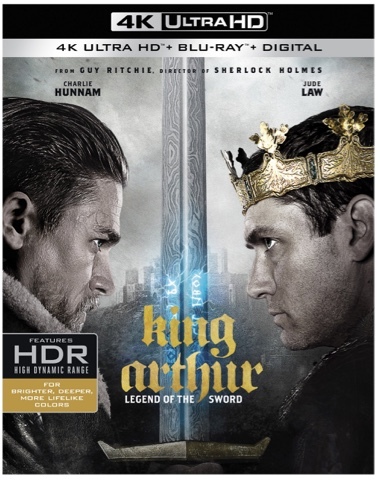 Something to Muse About: Own King Arthur: Legend of the Sword on Ultra HD Blu-ray, 3D Blu-ray,Blu-ray and DVD on August 8 or Own It Early on Digital on July 25! 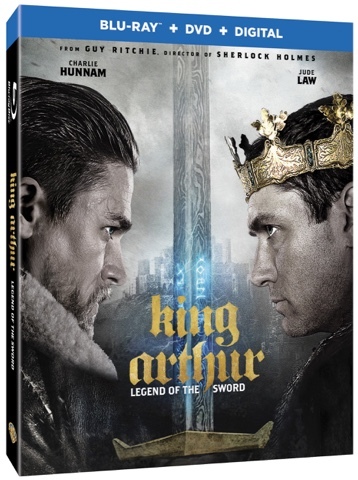 Own King Arthur: Legend of the Sword on Ultra HD Blu-ray, 3D Blu-ray,Blu-ray and DVD on August 8 or Own It Early on Digital on July 25! 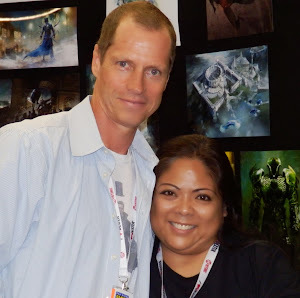 Burbank, CA, June 26, 2017 – Don’t miss the royal showdown when “King Arthur: Legend of the Sword” arrives onto Blu-ray Combo Pack, DVD and Digital.Acclaimed filmmaker Guy Ritchie brings his dynamic style to the epic fantasy action adventure “King Arthur: Legend of the Sword.” Starring Charlie Hunnam in the title role, the film is an iconoclastic take on the classic Excalibur myth, tracing Arthur’s journey from the streets to the throne. Arthur with Swagger - Charlie Hunnam is a gentleman, a hunk and a rebel, setting new standards as king and new rules with the ladies. Sword from the Stone - Director Guy Ritchie as he breathes 21st Century life and luster into England’s most iconic legend and he creates Camelot for a new audience! Parry and Bleed - Charlie Hunnam and other cast members get a crash course in swordplay. Vikings versus Saxons style! Building on the Past - Londinium comes to life with a new design of Medieval Urban life, built from scratch. Camelot in 93 Days - Friendships and romances strengthen and fray as the realities of a 93 day shoot set in. Legend of Excalibur - The world’s most famous sword is brought to life for a new generation. Scenic Scotland - Wrapping a monumental production on location in glorious Scotland. Arthur with Swagger - Charlie Hunnam is a gentleman, a hunk and a badass, setting new standards as king and new rules with the ladies.